Back pain, a stiff neck or heavy legs – who has never had these? To stop the situation ever getting that bad, we can do exercises as a preventative measure. There's a tremendous selection and sometimes newcomers can only guess from the exotic names what they actually are. As a rule, these are gymnastic exercises that can be done with or without music, with or without choreography, with equipment or without, alone,or in a group (source: medline.gov). Compared with endurance sports, which mainly train the cardiovascular system, exercises focus on the specific strengthening and mobilisation of the musculature. There are so many different forms of exercise: they can either be aimed at training the whole body or applied specifically to certain areas such as the tummy, legs, bottom, back or veins. Young mothers go to postnatal classes to get back into shape, swimming enthusiasts take part in aqua gymnastics and skiers do their skiing exercises. Those of us who would like to loosen up do stretching exercises, while other sports fans stay fit with aerobics, yoga or Pilates. And, not to be forgotten: physiotherapy, which plays an essential role in the treatment of many disorders. If you haven't done any sports for a long time, it's better to ask your doctor for advice first. Together you can determine your level of fitness and he/she will help you choose the right sort of gymnastic exercises. Once you have been given the green light, you can crack on practically wherever and whenever you like: at the gym, sports club, at home in the lounge or even at the office. Fitness DVDs, magazines, television and Internet enable you train on your own too. The ancient Greeks traditionally trained naked. Even today you don't need to invest much money in your gear: tracksuit trousers, a T-shirt, a mat – and off you go. In many cases you don't even need sports shoes. But please find out where your limits are particularly at the beginning – properly dosed physical exercise is a lot more fun! Always make sure you carry out the exercises correctly, otherwise they can do more harm than good. For example, you should avoid a hollow back by rotating your pelvis backwards when standing or pressing your lower back against the floor when doing those sit-ups. Stretching exercises should be done gently. If you stretch too strongly, you may tear fibres in your muscles, tendons or ligaments. To be on the safe side, you might want to train at the sports club or at the gym. Trained staff will ensure you that do the exercises properly and will correct you if necessary. If you train at home, at least make sure you have good quality instructions on DVDs or websites and follow these as closely as possible (source: webmd.com). Checking yourself in the mirror can also help. First the good news: gymnastics as a type of sport is associated with a very low risk of injury or overstrain. (source: TKK/German language). Nevertheless, muscle, tendon, joint or ligament injuries do occur in individual cases. Particularly when athletes overdo the stretching or sprain their ankle during the exercises. 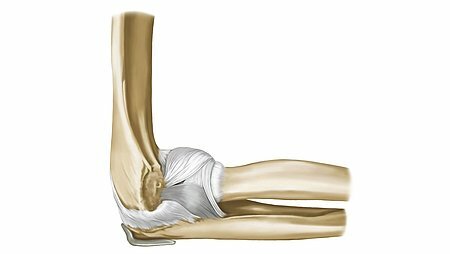 This is when orthopaedic medical devices such as the Levamed or Levamed active supports from medi are called for. These are medical devices to support muscles and joints. It is often advisable to only wear supports while you’re up and about and to take them off when sitting for a while or at night. 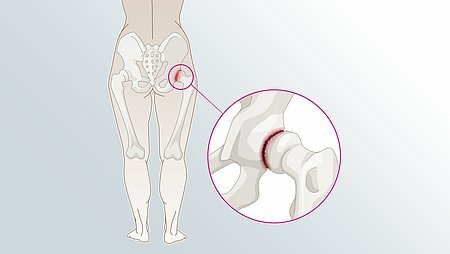 Supports can help relieve and stabilise affected joints. Irrespective of whether you have problems with your shoulder, arm or hand or with your knee or ankle joint – the aim of supports is to alleviate pain and relieve and stabilise affected joints. They also help you to regain your mobility quickly and to avoid protective postures. Supports do not cause muscle atrophy (loss of muscle mass), instead they boost the entire locomotor apparatus. 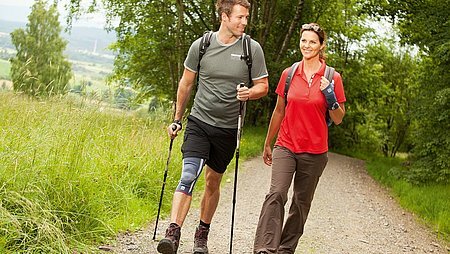 Supports from medi can help you during exercises and prevent injuries. Find out more information about the supports from medi here.